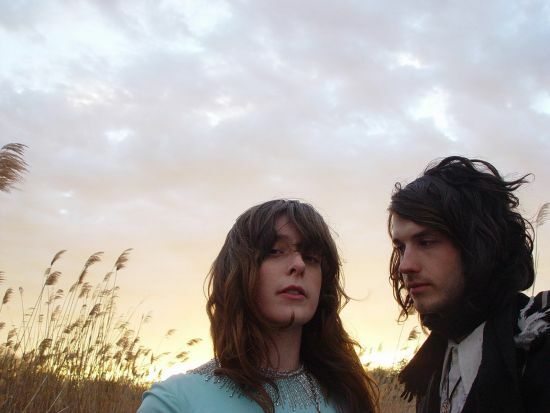 Beach House will be making their way through Lawrence this Spring. They'll be at The Jackpot on Tuesday, April 6th. Their third full-length, Teen Dream, will be out on on Sub Pop on January 26th. It leaked a while ago and I can already say that this is one of the best albums of 2010. It's very early but the album is absolutely breathtaking and by the time this show comes around, the buzz surrounding this band could easily fill the Jackpot. Wow, some really great shows coming up. I did hear some Beach House while in Seattle and "breathtaking" is a very choice word to describe them. Man, April is loaded with shows (Cymbals Eat Guitars w/ Bear In Heaven / Camera Obscura / Japanroids). So many shows, so little...... cash (on my end). Hey, is anybody going to Yo La Tengo this month (1/26) at the Granada? I secretly want them to play 'I Can Hear the Heart Beating As One' in its entirety. Probably my favorite indie album of all time. I'd probably go to Yo La Tengo if I could get in free, but unfortunately with all these shows coming up, I gotta pick and choose what I can afford. That's definitely my favorite Yo La Tengo album though and if they played that in it's entirety, I'd have to go. April is shaping up nicely as well as March. Lost of bands stopping through on their way to or from SXSW. I think we get a similar spike in the summer around ACL and Lollapalooza.